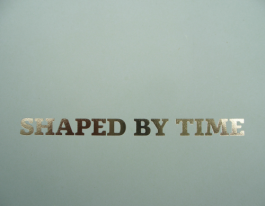 Shaped by Time documents and reflects critically on the curatorial research project, which culminated in an exhibition at the National Museum of Denmark in Copenhagen. Twenty-eight artists and writers were invited to research and respond to the prehistoric collection, composed of historical artifacts from the end of the Ice Age to the Viking Age. In dialogue with the curators and museum historians, each artist made a new site-sensitive work. The exhibition, a curatorial collaboration between curator Milena Hoegsberg and artist Julie Sass, responds to the permanent prehistoric collection and its recent restaging, intended to make the experience of history more digestible and exciting to audiences. Through commissioned works, embedded in the permanent collection, the exhibition engaged with the museum?s architecture, methodology of display, its theatrical use of sound and lighting. 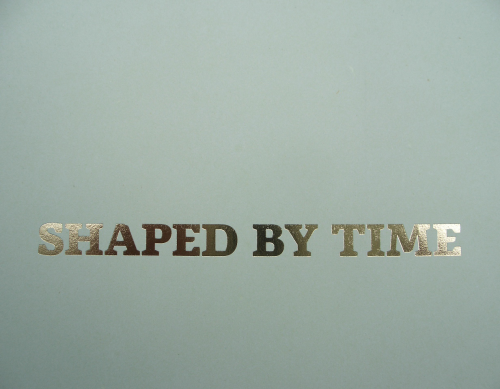 The publication Shaped by Time reflects on and the ongoing dialogue with the museum. In the texts, the curators, the anthropologist Katja Kvaale, Historian and Keeper of the Prehistoric Collection Poul Otto Nielsen, and art historian and critic Alexander Dumbadze discuss themes central to the project: time, cultural history, contemporary art practices, and archeological and artistic knowledge production. A fictional work by artists Olivia Plender and Unnar Örn consider the origins of the Danish national museum. Past and present objects are presented alongside each other, posing questions regarding how we are able to read a distant past through the objects it has produced and what we may learn from them. The publication questions how cultural histories are narrated and what objects are selected to represent or stand in for thousands of years of consolidated history and human production. What do these artifacts relay about how we see ourselves and what we value? How can contemporary art?including abstract, non-research-based practices?think through history and through the museum that preserves and presents it? Editor: Milena Hoegsberg; Design: Jeanne Betak.